love the shoes in the top photo! the mouse kinda scares me...but the whole look is fun! love the jewles! Love the tulle in the first pic and the jeweled goodies in the second. And I actually think the mouse is kinda cute. I absolutely love the dress color - sea green, makes me wanna drive straight to the sea! Oh my goodness that cake is like Alice and Wonderland I love it so much!! That first picture is gorgeous! 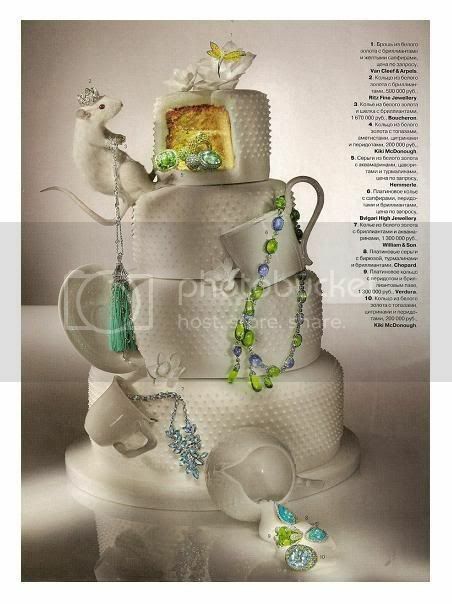 I like the cake (and the mouse) too! My old bosses made us eat a Hello Kitty cake. I can't decide which is more bizarre... I might have to go with the Hello Kitty one since it was hot pink and neon green. It's the icing that gets me. 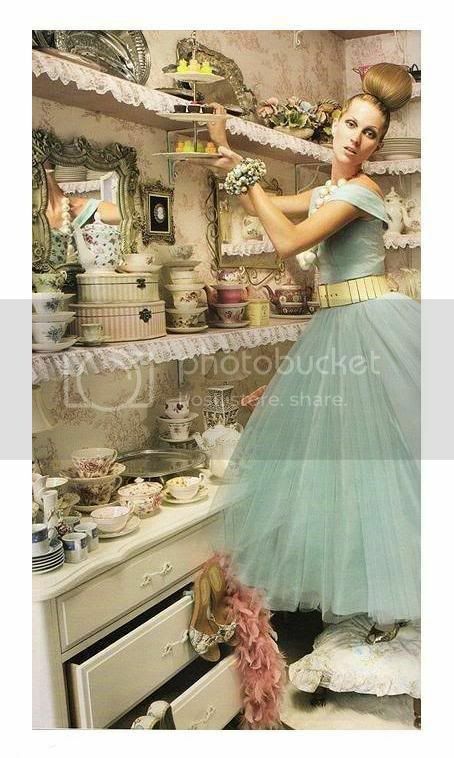 Love the powder blue dress as well. adorable! I like the photos, too. :) happy Thursday, dear. That is a really interesting cake. I like it. It does look like something from Alice in Wonderland. the 'hobnail' cake is pretty cool - what talent to create that!! That is an interesting cake! I've never seen anything like it! I have a pic of that cake somewhere. seriously? where you do find these incredible pictures? this one of course is no exception. i absolutely love it! I am 100% all about this post. I love Alice in Wonderland (obviously). Eve! What a cute little mouse! AHH I love both shots! Wow! That is so cool. What a wierd cake but yet interesting and pretty! Love both photos! I love this fabulous cake! p.s. all the work you're doing on your blog looks so pretty! AMAZING! And yes, it definitely has a Alice in wonderland feel about it. I enjoy visiting your blog a lot. and, why yes, I'd love a piece of cake- thank you! ooooooh, I LOVE it...so awesome!